Aberfoyle, often described as the Gateway to the Trossachs, lies approximately 25 miles north of Glasgow and to the west of Stirling. With a population of only 640, it is a small country town but benefits from one of the most beautiful locations in Scotland. 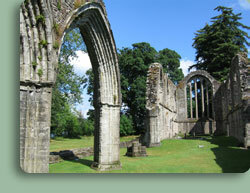 The town is part of the Loch Lomond and Trossachs National park and is surrounded by the Queen Elizabeth Forest Park. If you want to walk, mountain bike, photograph, canoe, fish or just relax in a cafe and browse round a gallery, the Trossachs is exactly where you want to be, and our self catering cottage is the perfect base. A network of bike or walking trails surround the village and can be easily accessed from the door of Dukes Cottage self catering cottage without the need to trouble your car. When you are finished for the day why not close the door and walk 50 metres round to the one of the excellent cafes or pubs on Aberfoyle's main street - the Forth Inn for some award winning food or real ales in front of a roaring fire, a beer in a bustling beer garden on a sunny evening or Liz MacGregor's cafe for some cracking coffee and cakes while watching the world go by. Alternatively drop in to the mouth watering Delicatessan and Butcher on the main street for something to retire to the cottage with, bottle of fine wine in hand! Read more about Aberfoyle and the Trossachs at the Trossachs.co.uk website, and more about the local forest at the Forestry Commission website. Straight out the door of Duke's Cottage in Aberfoyle you can stroll on the easy forest trails round the Queen Elizabeth Forest. Choose from a half mile stroll to a 4 mile hilltop trek in this spectacular forest, picturesque in summer and winter alike, but downright stunning in the golden hues of autumn. If you are looking for something with a little more altitude, why not head for Ben An above nearby Loch Venechar, Ben Venue just along the road or Ben Lomond a short drive away by the famously scenic Loch Lomond. For a short stroll, why not head for Doon Hill. A local legend has it that the Reverend Robert Kirk (b. 1644), the minister of Aberfoyle, had angered the Fairies by entering their kingdom in Doon Hill and was imprisoned under the hill for eternity. The hill is located two miles to the south of Aberfoyle town centre. Follow the road from Aberfoyle car park over the old bridge, past the graveyard (where you can visit Kirk's tomb) and then on to the forestry track. The round trip will take around 2 hours from Aberfoyle. Having lived near Aberfoyle for a few years now, we can vouch for the quality of tracks and trails in the immediate area for mountain biking. There is a bit of everything from long and scenic forest road tours to tight and twisty local singletrack right behind the house. If we can help with a bit of route advice, don't hesitate to contact us. Road cycling is second to none too, on quiet country roads with few cars - the stretch along Loch Katrine is even closed to traffic, so why not ride the 12 miles along the singletrack road, grab a coffee in the Pier Tea Room and jump on the Steamship Sir Walter Scott to hitch a lift back? 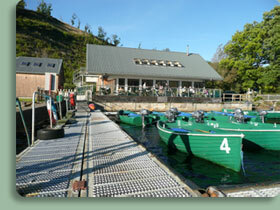 The Loch Katrine website has more information. We have bolted an anchor into the wall at the side of the cottage to lock a maximum of two bikes to (at your own risk of course! ), where the bikes are also behind an iron gate and under cover of a roof. Bike hire is available nearby at Trossachs Cycles (approximately 2 miles away by Gartmore), the Scottish Cycle Centre over the hill on the shores of Loch Venechar or Katrine Wheelz over the Duke's Pass by Loch Katrine. There are a number of courses in the area, the closest of which is the Aberfoyle Golf Club (about 1 mile away) which is very hilly but is great fun and sports some great views! Over by Loch Lomond is the superb Loch Lomond Golf Club where they hold the Barclays Open. Gleneagles isn't far away either at around 1 hours drive. With the Lake of Menteith nearby, reputed to be the best location for rainbow and brown trout in Central Scotland, there is something for the fisherman too. Loch Ard, Loch Drunkie, Loch Lomond and the River Forth among many more provide both coarse and game fishing all within easy reach of Duke's Cottage. 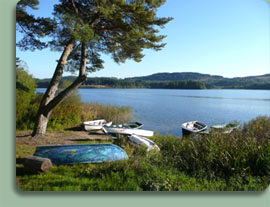 Only a few miles away at Loch Ard there is Go Country, a charitable company offering the hire of mountain bikes, canoes, kayaks and fishing equipment. 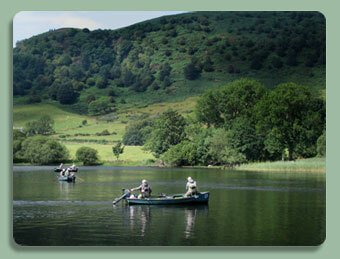 They also offer organised days out with anything from quad biking to clay pigeon shooting and gorge walking. Drop them a line if you want some adrenaline to balance all this quality relaxation! Lake of Menteith / Inchmaholm Priory: The only 'lake' in Scotland is home to a magnificent ruined 13th-century Augustinian priory on one of its islands. Pack your lunch, jump on the small passenger ferry and take a trip out to wander on the tranquil island. Find out more here. 3 Lochs Forest Drive: Open from April to October, the forest drive entrance is only 5 minutes drive from the cottage. Take your car through 7.5 miles of leafy forest tracks deep into the forest, navigating round 3 lochs where you can stop for a picnic or just to soak up the peace and quiet. More information on the Forestry website. Go Ape - Aberfoyle: A tree top vertigo inducing challenge high above the forest near the cottage. You are less than 15 mins walk to the longest zip wire in Britain, and it is great fun for a day out - check their website out here. Glengoyne Distillery: Drive 15 minutes down to Glengoyne for a distillery tour and sample of this local produce. If you have the time and inclination, why not climb up Dumgoyne to take in some breathtaking views while you are there? Visit their website here. Visit Stirling: If the rain comes on (and it has been known to round here) then why not take a drive over to the historic town of Stirling. Visit the Wallace Monument, the battlefield at Bannockburn and the castle above the town. It is only 25 mins drive and also houses a great selection of shops to rival any city main street. Loch Katrine: Visit Loch Katrine and walk round the shores of this beautiful loch, eat in the cafe and take a cruise on the Steamship Sir Walter Scott. Their website has more information. 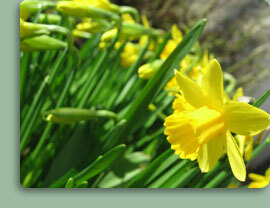 For more ideas, the Trossachs Discovery Tourist Information Centre is only minutes walk away on Aberfoyle main street. Step out the cottage, stroll to the main street in Aberfoyle and you can bag one of the outdoor tables by Liz McGregors tearoom. Soak up the sun with a cappucino and cake while reading your morning paper - what better way to start another day of your holiday? Alternatively walk for 15 minutes up to the cafe in the Lodge and enjoy the sweeping view over the forest or a take a drive to the Wee Blether tearoom on Loch Ard where the cakes really are some of the best out there! The same could be said of The Woodhouse near Kippen, where they also serve up a mean plate of home made soup. But on a sunny evening there are few locations to beat the licensed Harbour Cafe on Loch Venechar - watch the sun going down with a glass of wine, pint of beer or coffee as the hire boats clink and jostle below the waterside decking. The Forth Inn - 2 minutes walk round the corner on Aberfoyle main street!